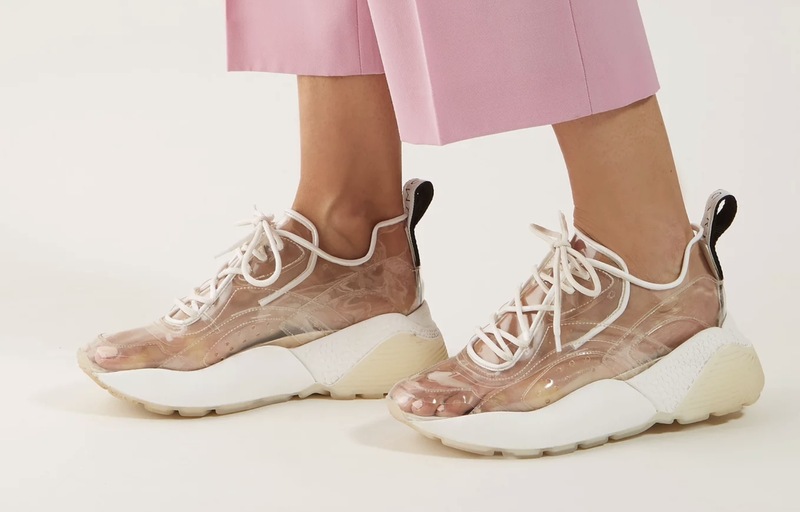 If you were looking for an alternative silhouette for AW18, then the Stella McCartney Eclypse PVC will be answering your dreams. 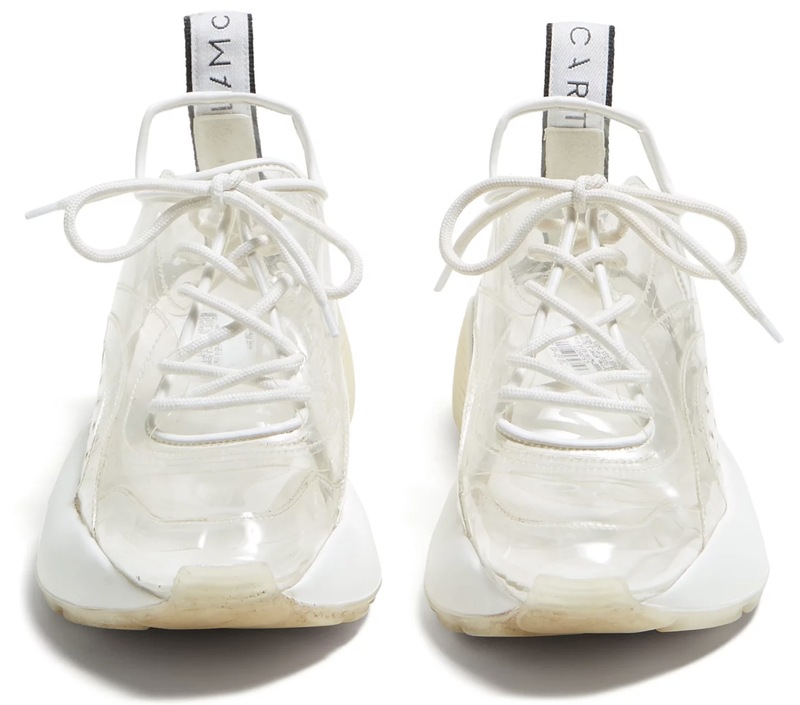 Arriving with a totally transparent PVC upper, this Eclypse is definitely one-upping some of McCartney’s other silhouettes that are usually adorned in patterns or iridescent textiles. The classic Eclypse silhouette is carried through on this new rendition, with the iconic chunky midsole, branded heel tag at the back and streamline upper. White has been used for the midsole colour, with an off white outsole that travels up the heel section. White trim has also been featured around the seams of this silhouette, with matching white laces. This sneaker is clean cut and meant to stand out. 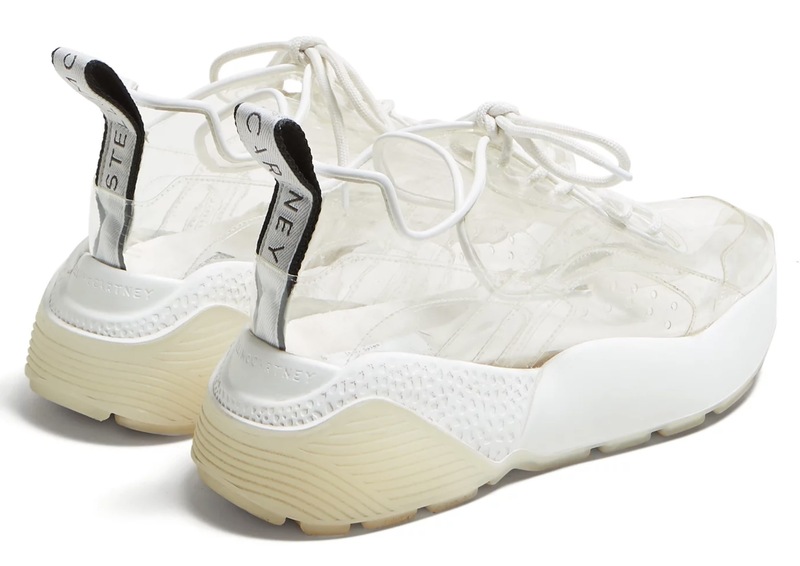 These kicks can be worn with or without socks, depending on the weather outside, of course. Top tip, put sparkly or patterned socks underneath to change the colour of your sneakers instantly! 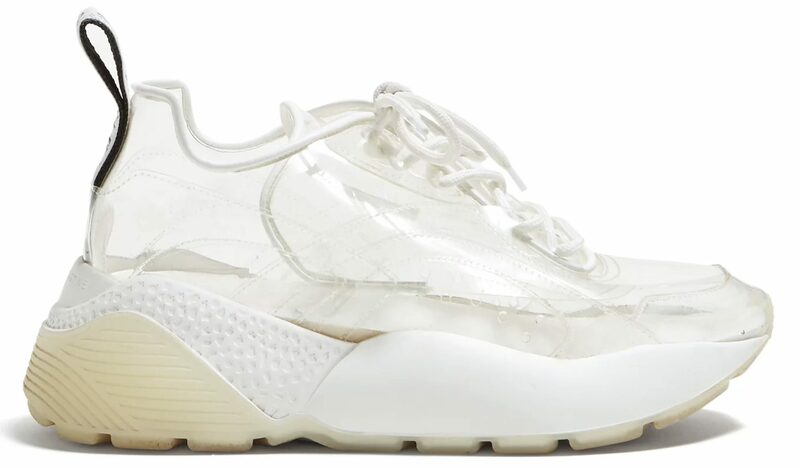 The Stella McCartney Eclypse PVC will be arriving soon, be sure to stay tuned to The Sole Womens for updates on the release!